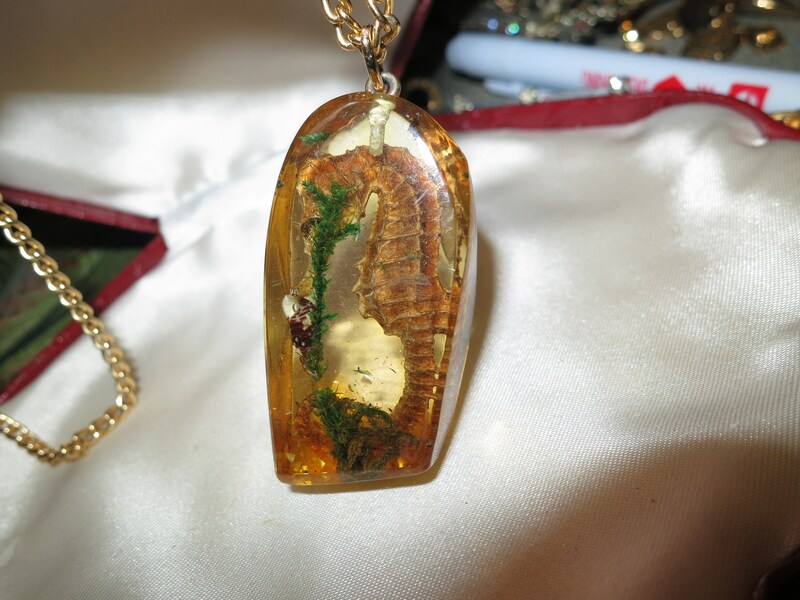 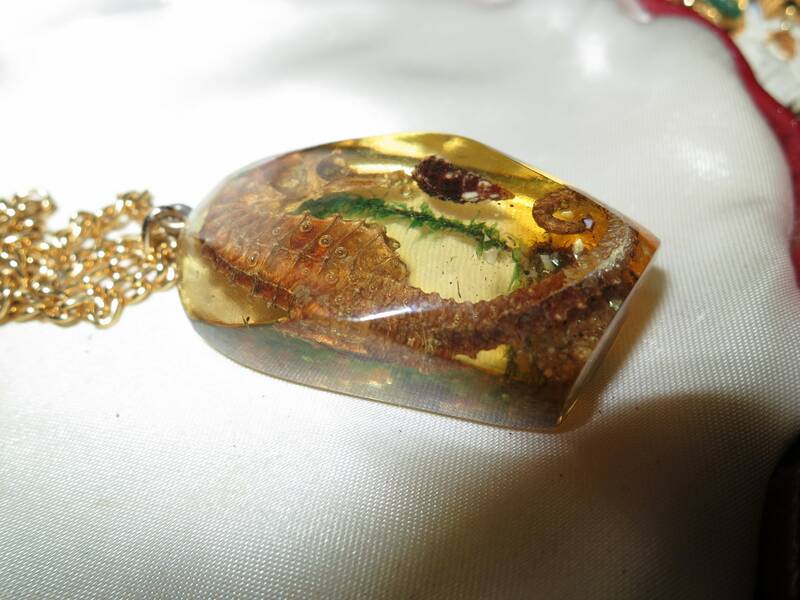 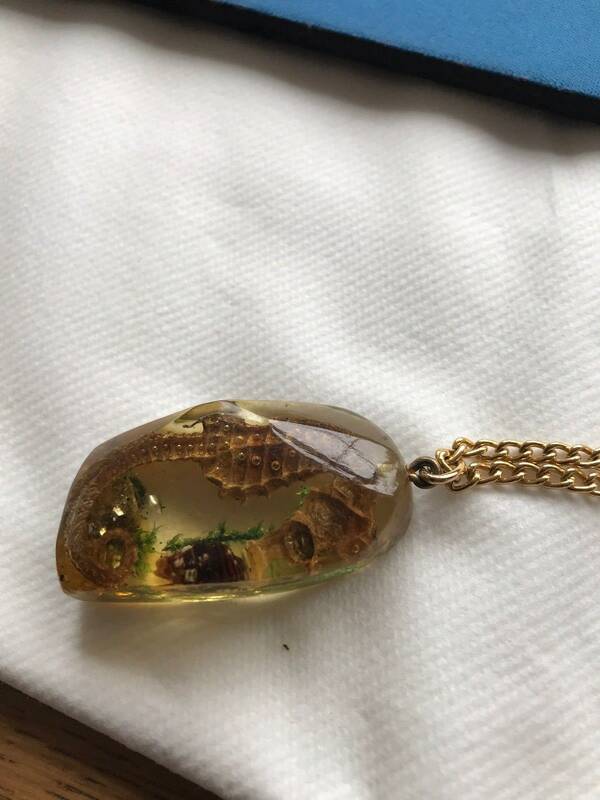 This lovely necklace features a wonderful large resin pendant with real seahorse underwater scene. 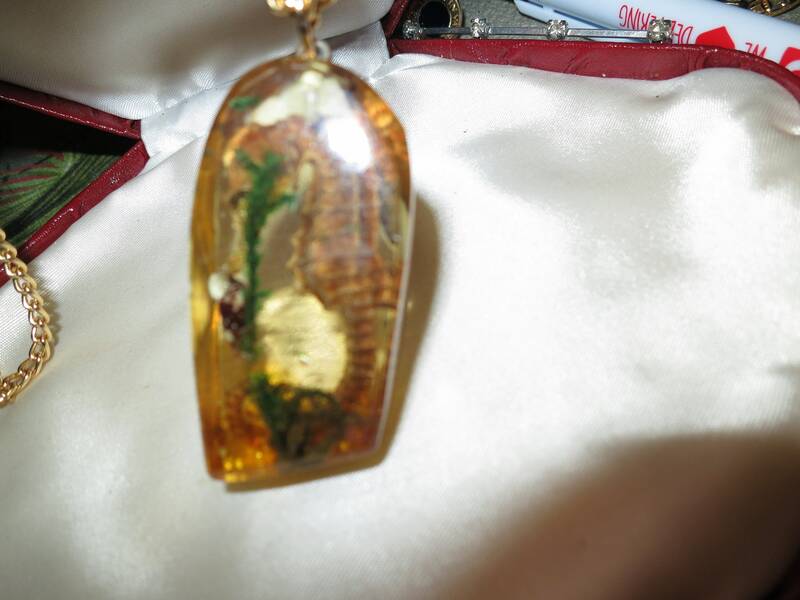 On a goldtone chain. 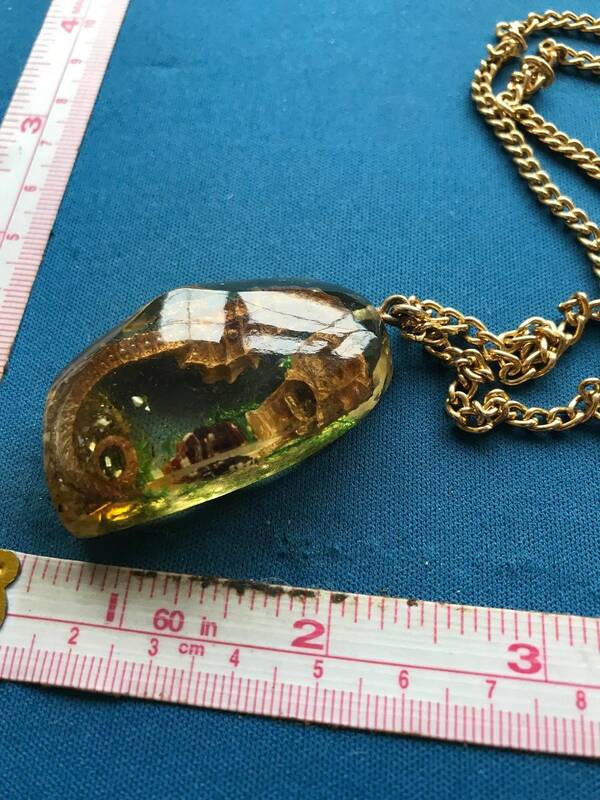 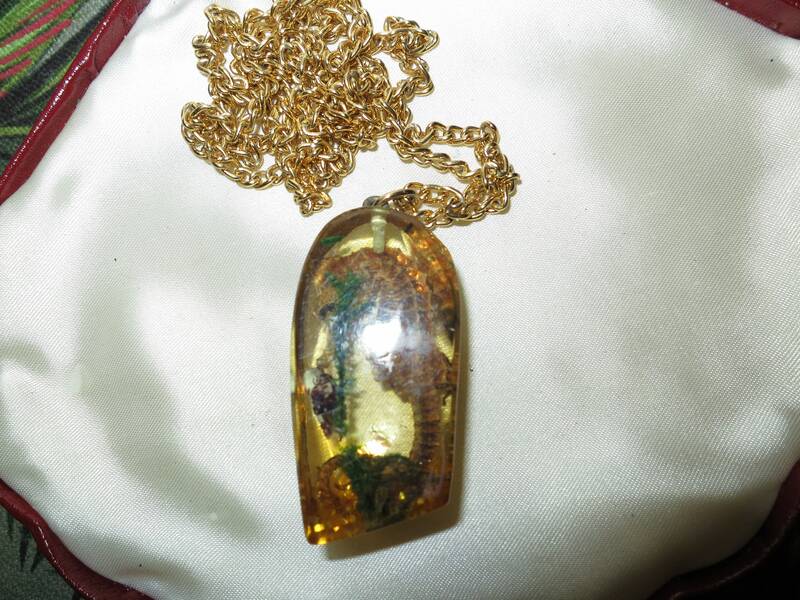 Pendant is 2 inches and chain is 32 inches .